At Camp Barnhardt’s Cub Parent Weekend, you and your Scout will enjoy over 1,000 acres of beautiful, rolling wooded hills beside Lake Badin. 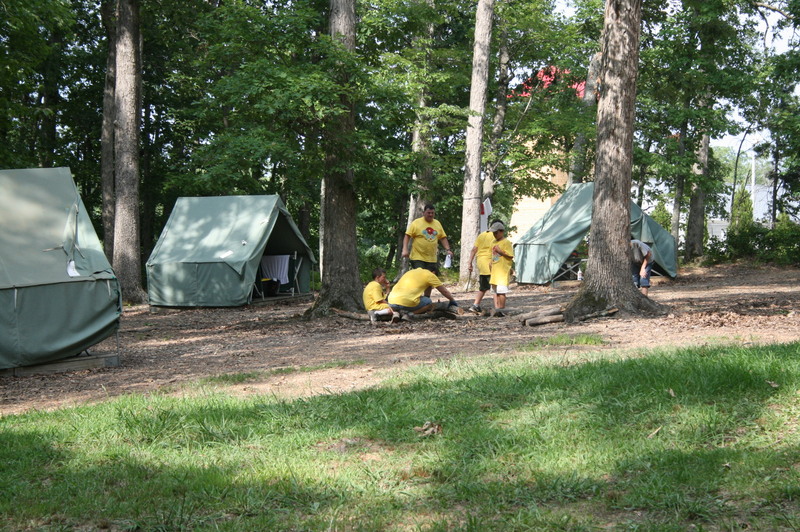 Camp features wall tents with cots. All you need to bring is a sleeping bag and dinner (breakfast is provided). All registered Cub Scouts can attend. Cub Scouts must be accompanied by a parent or legal guardian. This is a one-on-one weekend that provides a unique and special bonding experience between a Cub Scout and a parent or legal guardian. Fun-filled Activities! All registered Cub Scouts can attend. 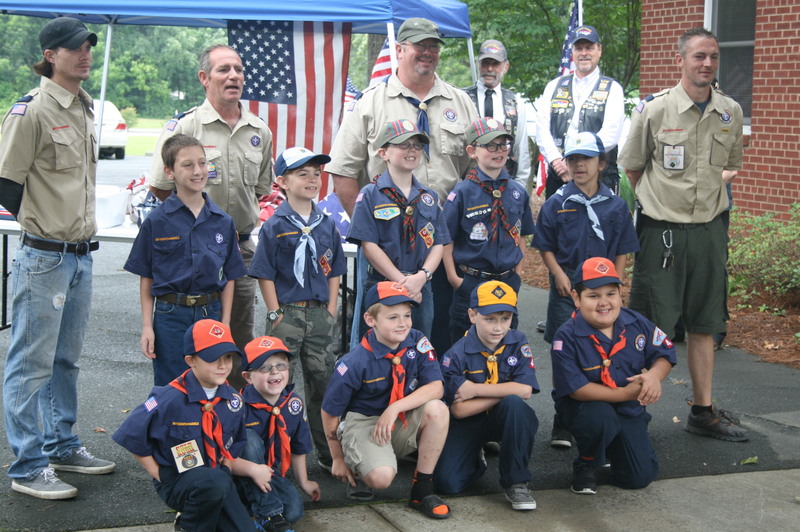 Cub Scouts must be accompanied by a parent or legal guardian. Siblings and other family members may attend. Siblings ages 6 and up may participate with paid fee. Siblings under 6 may attend but will not be able to participate in activities. 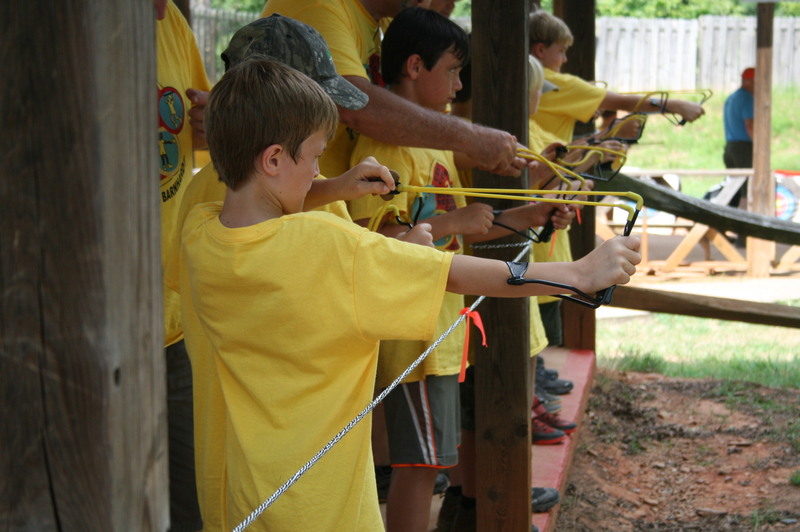 Each season features B.B.’s, archery events and wrist rocket ranges, which are a favorite among the boys. Other activities include: field games, hiking and a campfire program filled with songs and skits to close out the night. This is an easy way to do camping. All you bring is your sleeping bag, toiletries and your supper. A ten with 2 cots will be at your campsite and breakfast will be provided in the dining hall. Complete Camping Experience for One Low Price! The weekend includes breakfast, all supplies, patch and camping fees. T-shirts are available for pre-order on the registration page. Deadline for registration is the Wednesday one week before camp starts, or 400 people. Register early to secure a space. Medical Form – Annual Health and Medical Record Form is Required for All Campers (Youth & Adult). For additional information contact the Kyle Camp at (704)982-0141 or kyle.camp@scouting.org.